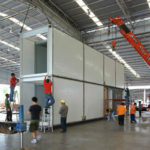 Many relief organisations are realising the indispensable uses of shipping containers, and are already using them in disaster areas. 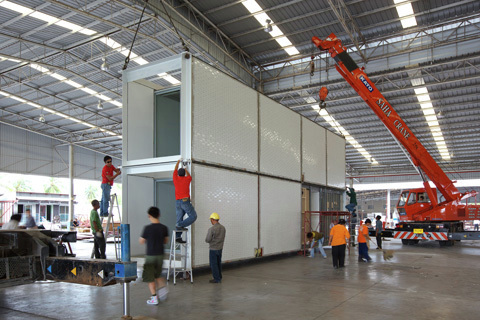 Following are some examples where shipping containers have come to the rescue in natural disaster situations. 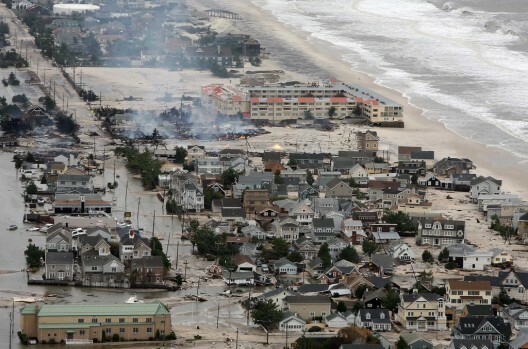 Hurricane Sandy was the deadliest and most destructive hurricane of the 2012 Atlantic hurricane season. 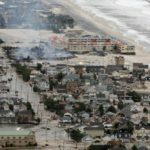 With rapid climate change however, these storms are happening with greater frequency. 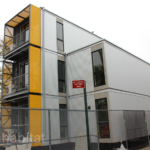 To deal with such a re-occurrence, cities like Brooklyn are experimenting with multi-storey emergency housing facilities made of shipping containers to combat disasters like Hurricane Sandy. 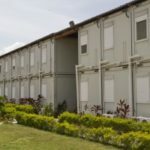 Three and four-story post-disaster housing complexes have been set up complete with furniture and a cooking space, as well as bathing, living and sleeping areas. The 2011 earthquake off the Pacific coast of Tōhoku was a magnitude 9.0–9.1 undersea mega thrust earthquake off the coast of Japan that occurred on 11 March 2011. It was the most powerful earthquake ever recorded to have hit Japan. The earthquake triggered powerful tsunami waves that reached heights of up to 40.5 metres, and which, in the Sendai area, traveled up to 10 km inland. 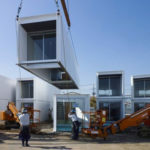 In response to the massive disaster, the Japanese architect Yasutaka Yoshimara created a series of shipping container shelters under the project titled “Ex Container Project”. These shelters proved to be low-cost as well as high-quality. 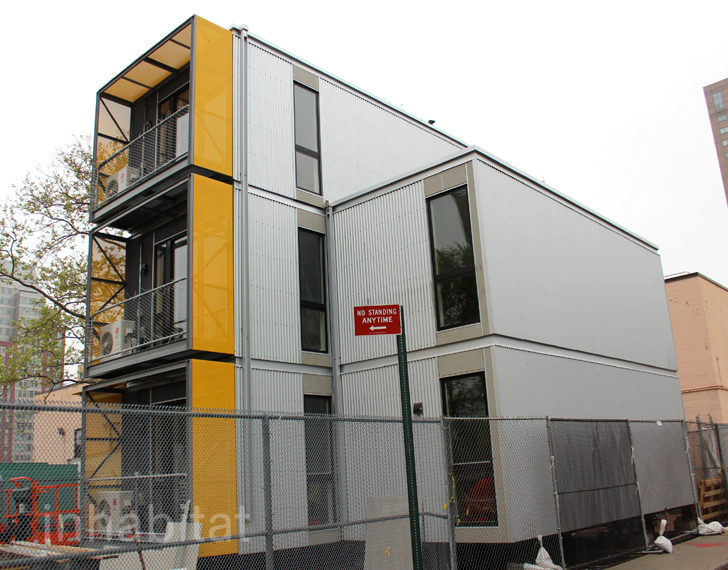 Many 20-foot by 20-foot containers were joined together to create kitchens, living and sleeping areas. 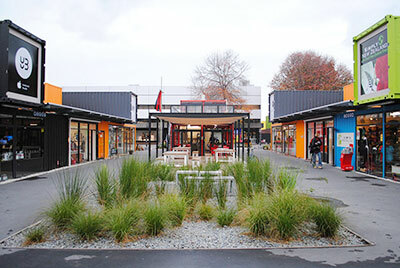 A devastating earthquake occurred in Christchurch on 22 February 2011, local time and registered 6.3 on the Richter scale. 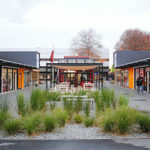 The earthquake struck the Canterbury Region in New Zealand’s South Island. 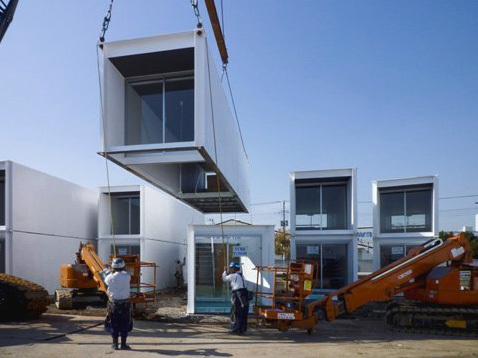 In the wake of the earthquake shipping containers were used as shelters to construct barriers around the houses that had been destroyed and to protect vehicles and pedestrians from falling rocks and debris originating from damaged buildings and houses. 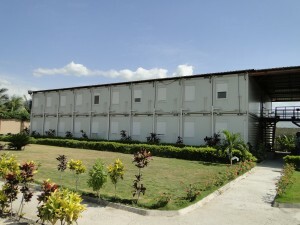 They also continued this effort with the Re:Start mall, constructed from containers to help rebuild the city. 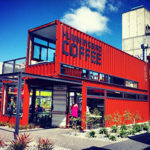 Although closed now, containers still feature around Christchurch to help protect the city. The 2010 Haiti earthquake was a magnitude 7.0 earthquake, approximately 25 kilometres west of Port-au-Prince, Haiti’s capital on the 12th January. By 24 January, at least 52 aftershocks measuring 4.5 or greater had been recorded. An estimated three million people were affected by the quake. 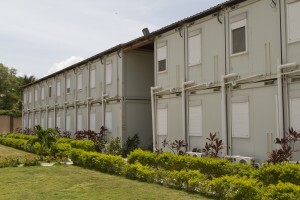 After the earthquake, there was renewed effort to make container relief housing – and this was completed by The Caribbean Lodge in Port-au-Prince. 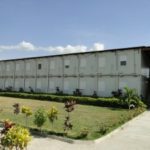 The container hotel has single and double rooms which have twin beds or twin bunk-beds and a private bathroom. Hotel amenities include internet access, a restaurant and swimming pool. 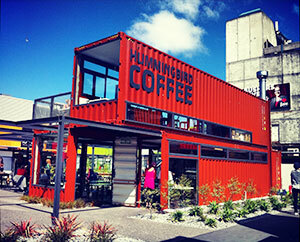 And it is completely made from shipping containers.